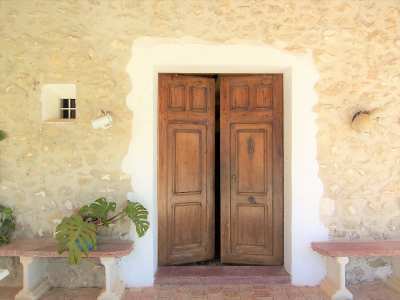 For sale: Authentic 250 year old Spanish finca located in the tranquil village of Llosa de Camacho, near Pedreguer. This beautifully preserved Spanish finca is distributed on one level with the main house offering a spacious living and dining area with open kitchen, a large master bedroom with bathroom en-suite and a separate dressing room. The other 2 bedrooms and bathroom are located in the guesthouse. The outside living area features the swimming pool and several sitting and dining areas, all set within a well maintained large garden. 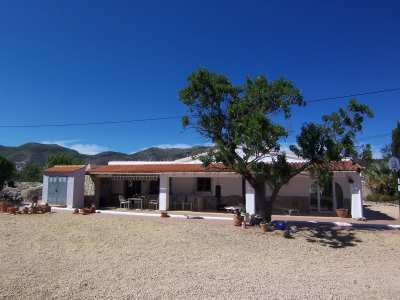 This traditional finca of 220m2 located on a plot of 4700m2 has many other things to offer, such as as a separate guest toilet, a covered BBQ area and a large roof terrace from where you can enjoy the beautiful mountain views.